Centering your Chi is a real thing! I heard about it years ago. I like to try all new things fun, like yoga, and I like the concept of meditation, but I have not been blessed with the ability to sit that long. So when I heard about how to take steps to center your Chi I wanted to give that a try. Centering, as I understand it, means balancing your life force. You attempt to keep your internal self in balance and harmony. If you are in balance and harmony you are positive, patient, you treat others and yourself with care and kindness. You reject pessimism, stress anxiety and negativism. You can center your Chi in many ways including through meditation and yoga. I have written about my five girl friends from law school before. We have a lot of stories together. We graduated in 1987 and we have stayed in touch all of these years, and kept up with our girls weekends together. 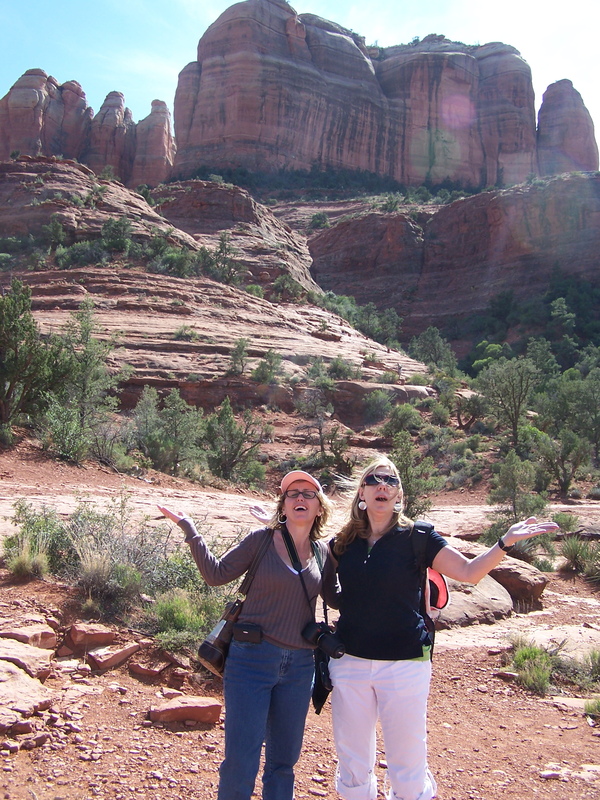 One of our friends lives in Arizona, not far from Sedona, so we decided to take a trip to Sedona. My attraction to it was the advertising that it was known as a spiritual power center because of the Vortexes of Subtle Energy located in the area. It is the place to center one’s Chi. You can actually get maps of where the energy vortexes are located and while I find these things funny, I am more than willing to give it a try and hike to the vortex to see if I can feel its energy and center my Chi. The whole concept was fun. It gave us all something to talk about even if we were all skeptical. 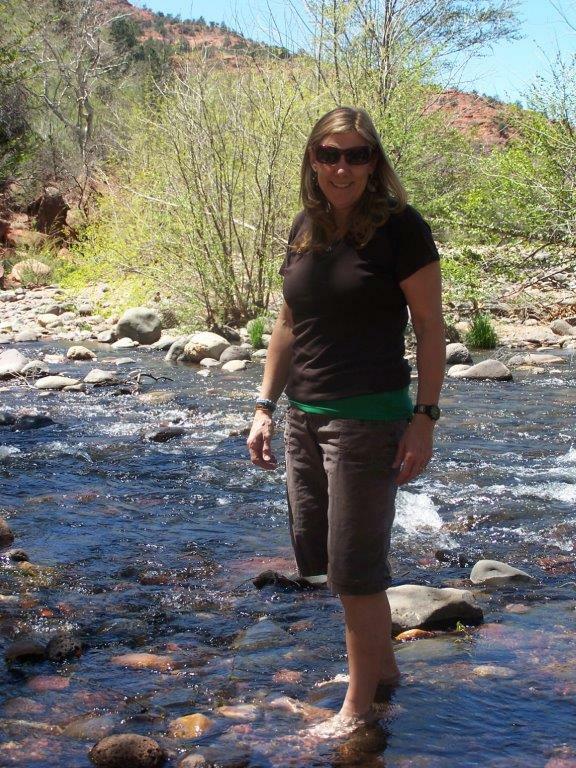 However, we all like to hike and we like to hike and eat good food and drink good wine, and Sedona had all of those things, and as a bonus it is a gorgeous area of Arizona with dark red soils, hot weather and crisp cool streams. We started talking and planning and everyone was in. 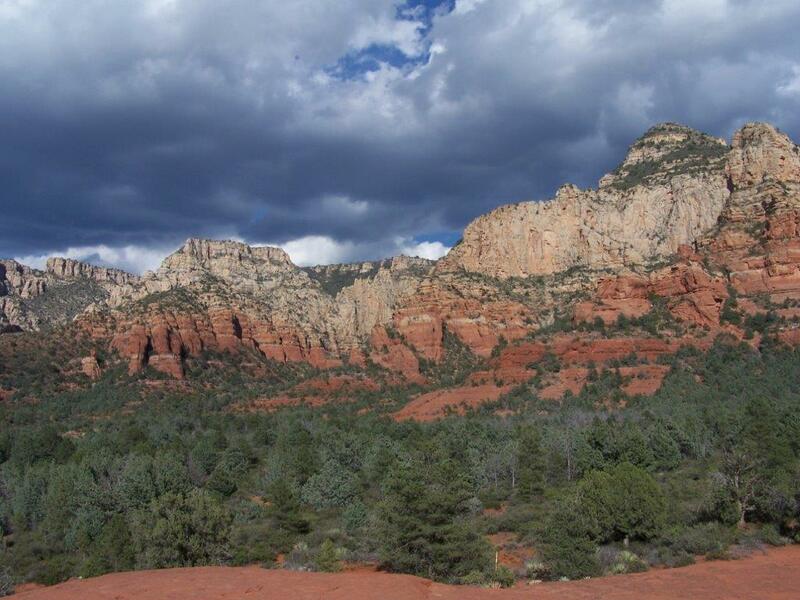 I saw one ad for Sedona that actually said, “Come to learn how to manifest the soul’s purpose and heart’s desires while releasing resistance to loving your soul’s mission.” Who could resist that promise? As lawyers we like words and those are good words. 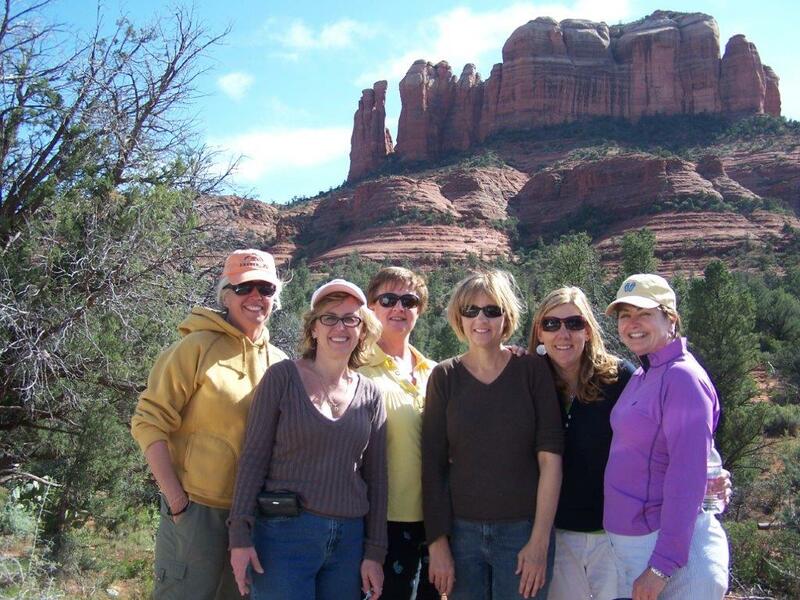 We met at our friend’s house in Fountain Hills and drove to Sedona. We had a beautiful hotel, and as much as we loved the descriptions of Arizona online, Sedona was even better than promised. Its lush greenery and dark red mountains and soil covered in desert greenery made it one of the most beautiful places I have ever seen. These girlfriends are very special to me. We have remained friends for so long because they are all very positive, fun people. I love them. Even though most of them have learned to live a balanced life, they are also the kind that are open to try new things and to go along on a good hike. So we went on our hike, and we had a map showing where the energy Vortexes were located in the Sedona hills, and we used our best abilities to imagined absorbing the energy of the vortex as we soaked up the Arizona sun and breathed the fresh fragrant air. Being the good sports that they are, we stopped at each vortex and raised our arms toward the sky like a sun salutation. 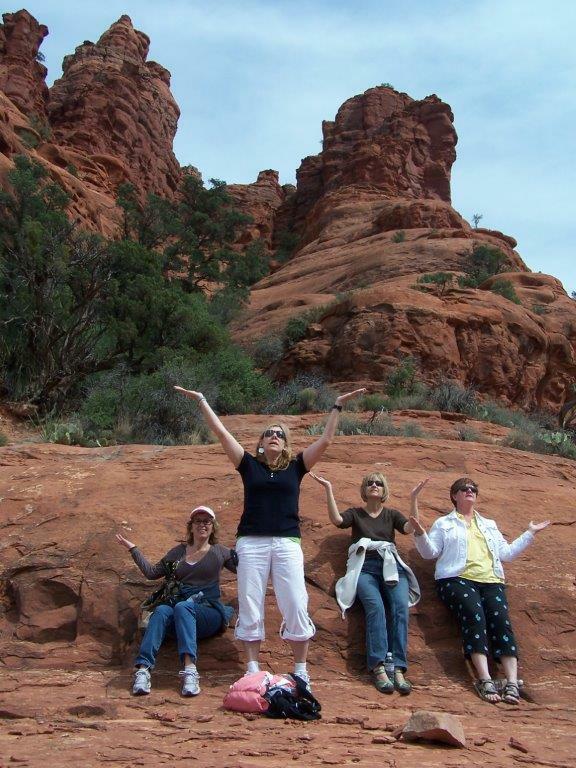 I don’t know if it was in fact an energy vortex, but I was on the hillside on one of the most beautiful places in our country, with some of the best women I know and that was an energy boosting experience, no matter how you looked at it. We spent a long weekend together and hiked different trails each day and caught up on each others’ kids, family and work. In the evenings we continued to talk and would share good food and even better wine. 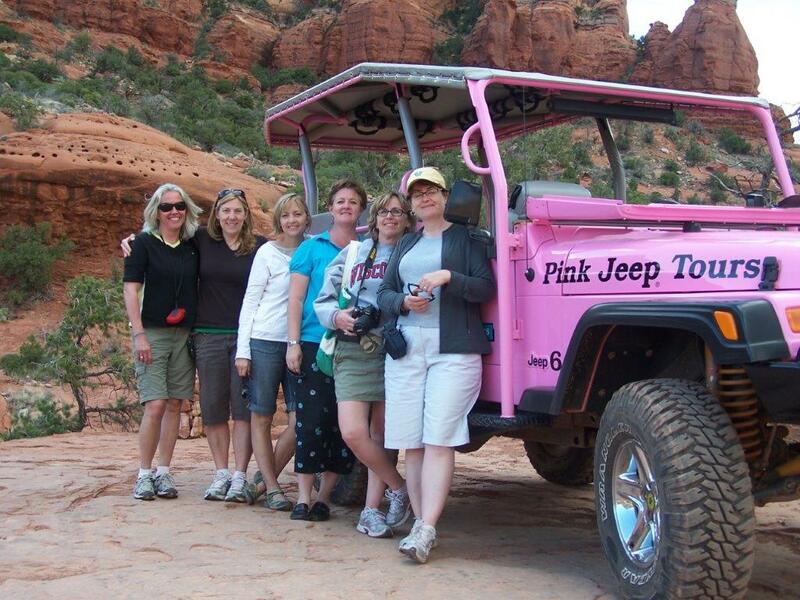 We went on a pink jeep tour through the hills and went to the spa for massages. Each time we heard about a new trail or a cleansing stream in the foothills we hiked and checked it out. We heard about a cleansing healing stream from the locals. Keep in mind the locals are some of the most interesting people you will ever meet. There are multiple palm reading shops and places to buy crystals and have your auras read or participate in rain drop therapy. This was a fun and interesting place with fun people. It is a low stress, high tolerance and accepting of all type group. We could all learn a thing or two from them. To get to the healing stream required a bit of a hike, but was well worth it. We hiked for about an hour in the hot sun, but when we got to the stream it was ice cold. We entered together and refreshed ourselves. I could see why they called them healing. To enter the cold refreshing waters after being in the hot sun did feel as if it had special rejuvenating powers. We spent time together sitting in the warm sands and walking in the healing waters. I cannot say whether the stream had healing powers, but I can say that my weekends with the girls are healing. We spent some quality time together as we always do and shared our deepest thoughts, worries, hopes and dreams. Our weekends together are cathartic and healing in the most basic sense of the word. We come back better. We come back stronger. Balancing your life and centering your Chi may be a process that many strive to define and perfect. For me balancing is spending time with the people who I care about deeply. They are my family, my friends and those people who make me better and who look positively upon life. For me it also means spending more time in nature than in an office. It is using your vacation time wisely. Time is our most precious commodity. Use it wisely with the right people and be in the places that heal your soul. Spend time in beautiful places, drink rum and good wine and eat good food, but remember to share it with the people who accept you, empower you, and support you and those who make your life better.